This week, I delivered a speech on the House floor regarding the humanitarian and national security crisis at our southern border. This is a crisis that requires bipartisan action and I urge my Democrat colleagues to come to the table and do what is right for the American people -- secure our border. 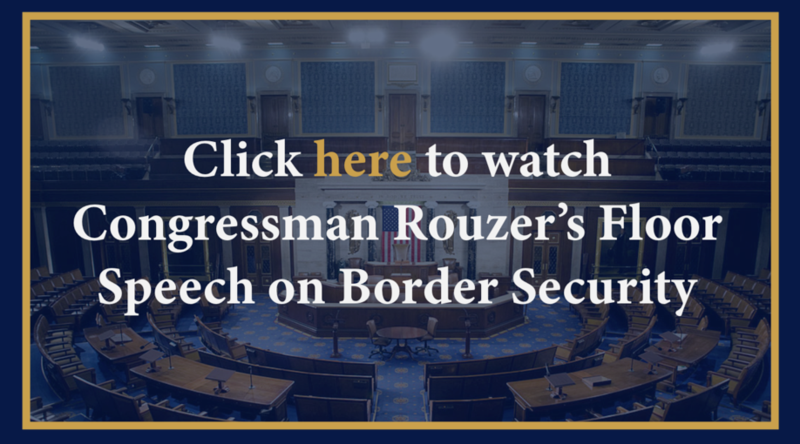 To hear my thoughts on border security, please click here or the image below. To subscribe to receive future enewsletter updates, please click here.